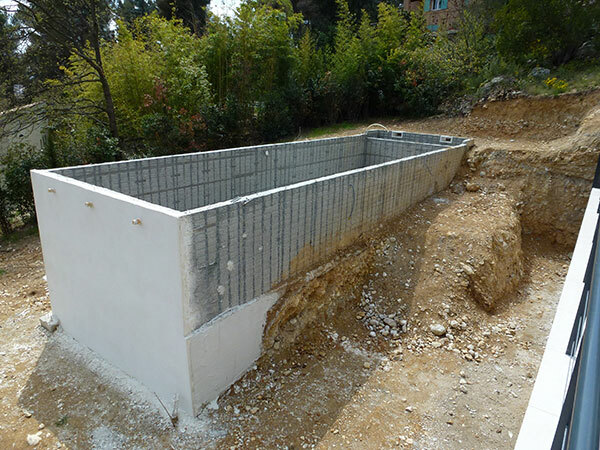 Should a building permit be submitted to the town hall for the construction of a concrete swimming pool? No. The construction of an outdoor swimming pool of less than 100m² does not require a building permit. However, it is compulsory to submit a statement of work. You will obtain the form from the city planning department. The town hall delivers its permission within 2 months after the reception of this declaration of work. The construction of a technical room of more than 20m². For any construction project of a concrete swimming pool, some administrative procedures are necessary. You must initially check that the land use plan concerning your garden enables you to build your concrete swimming pool where you want. This document is available for consultation upon request at your city planning department. The “Plan Local d’Urbanisme“ informs on the construction rules applicable in your town. The constraints to be respected for the construction of a swimming pool can relate to the distance from the neighbours’ garden, the view on your swimming pool from the road… The town planning rules can be burdensome in declared heritage areas. 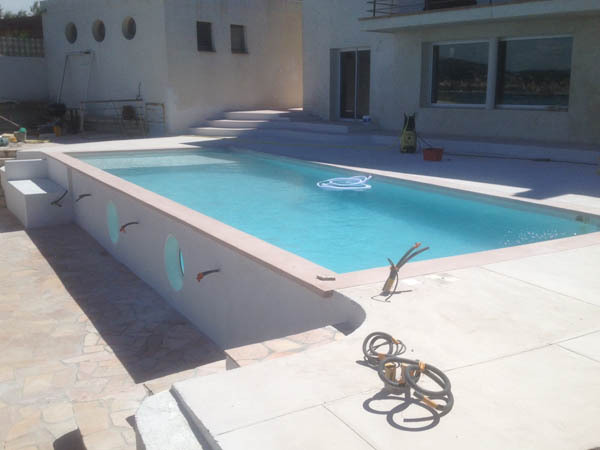 For any question about your construction project of a concrete swimming pool and about the administrative procedures, please do not hesitate to contact your MARINAL specialist. We will help you all along the procedures applicable to your project. If you have a well drilled on your ground, collecting this water for a private use to fill your swimming pool is also regulated because this water is a public property. 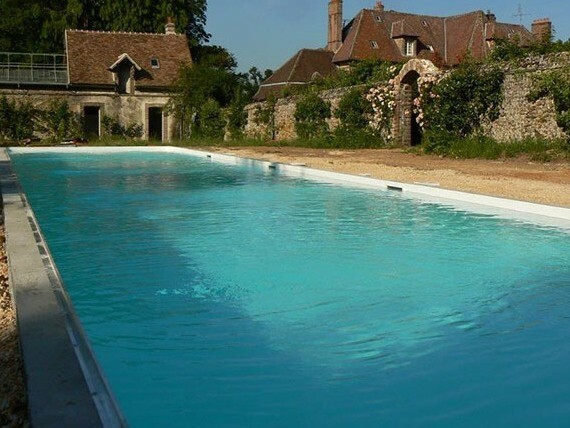 To fill your swimming pool with the water from your drilling, you have an obligation to make a declaration to your town hall, through a form entitled “Déclaration d’ouvrage : prélèvements, puits et forages à usage domestique » (French declaration of work: withdrawals, wells and drillings for domestic use) – Official document Cerfa 13837-02.